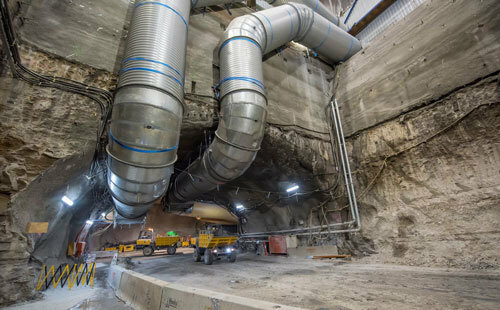 As we continue to investigate major infrastructure projects that are set to transform Queensland and New South Wales, through our CGC Projects in Focus blog series, this week we’ll focus on the Sydney Metro, and in particular, the CBD and above station works. As part of Australia’s largest public transport project, the Sydney Metro’s CBD and above station works aim to revolutionise city transport by completion in 2024. Commended in 2017, the new travel network has already created a number of new jobs for engineering, construction and infrastructure professionals. Sydney's transport system was due an upgrade to meet the demands of increased tourism and population growth. This new standalone railway will deliver 31 metro stations and more than 66 kilometres of new metro rail, revolutionising the way Australia’s biggest city travels. When Sydney Metro is extended into the CBD and beyond in 2024, metro rail will run from Sydney’s booming North West (phase 1) region under Sydney Harbour, through new underground stations in the CBD and beyond to the South West (phase 2). Sydney Metro, together with signalling and infrastructure upgrades across the existing network, will increase the capacity of train services across Sydney from about 120 an hour today, to up to 200 services an hour beyond 2024. The Metro means a new generation of world-class fast, safe and reliable trains easily connecting customers to where they want to go. When services start in the second quarter of 2019, customers won’t need timetables – they’ll just turn up and go with a train every four minutes in the peak. Accessing information and other public transport to help get to their destination after they leave the train. In building new metro stations for Sydney, an exciting opportunity exists to integrate global best practice and innovative thinking to create a sense of place. Planning is progressing for integrated station developments, including: Victoria Cross, in North Sydney; Waterloo Station; Pitt Street; Crows Nest; and Martin Place. At CGC Recruitment, our highly-motivated team of experienced consultants specialise in the engineering, construction and infrastructure sectors. We help our clients throughout Australia deliver major projects like this by bringing in the best candidates and talent. 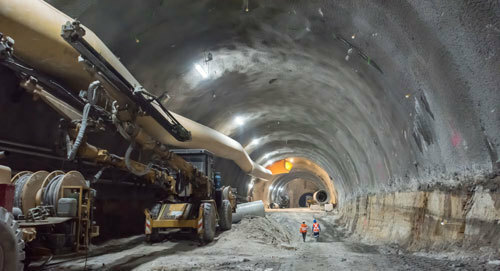 To be involved in projects or to attract candidates that are changing and improving Australia’s infrastructure, just like the Sydney Metro, connect with CGC today.